Between December 2017 and May 2018, Masked Warriors. The Battle Stage of the Samurai is on view at Japan Museum SieboldHuis. The focal points in this splendid exhibition will be played by Nō-masks and the masks of the famous Japanese samurai warriors. Spectacular artefacts from international and private collections, including swords, screens, kimonos, helmets and bows, will illustrate the beauty and power of Nō-theatre and the samurai culture. On the occasion of the exhibition, an extensive and richly illustrated catalogue written by Bas Verberk has been published. 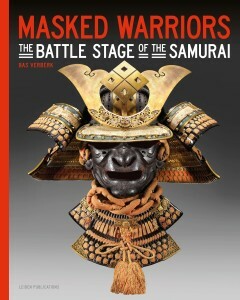 Masked Warriors provides new insights into the approach of form, function and meaning of Japanese armour masks, or menpō. It shows how armour masks, while representing a diverse tradition of their own, have connections with the larger Japanese mask culture, especially with nō masks. 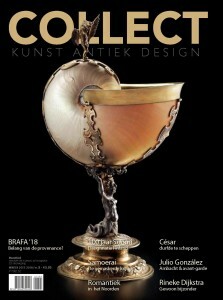 An extensive article about Masked Warriors was published recently in the Winter edition of COLLECT Kunst Antiek Design.